"The enhancements we made to our PACER bankruptcy locater solution further reduce the need to manually search regional courts," said Greg Kent, vice president of data services at Quandis. "We've added a real-time docket pull as a search add-on. Once a search is initiated, the full docket is efficiently returned complete with an XML dataset and direct hyperlinks to case information." The enhanced solution eliminates the need to add staff, saves huge amounts time, lowers costs, reduces errors, boosts employee productivity and returns court documents in a standardized, organized fashion to ensure data integrity. Moreover, current information is received in real-time from PACER to determine if a borrower has sought protection under federal bankruptcy laws, thus enabling organizations to compliantly initiate foreclosure proceedings. A constant automatic search of full docket bankruptcies on a regional court level returns all pending cases. Quandis’ PACER case locator service is used by servicers, lenders, default attorneys and outsourced third parties. The solution can be utilized as a standalone or as integrated with case management systems (CMSs), mortgage servicing applications and legacy systems. – Configurable search options which restrict unnecessary Pacer searches thus reducing costs. Quandis will be holding discussion times with interested parties at the Mortgage Bankers Association’s National Servicing Conference and Exposition at Hyatt Regency Orlando from February 18 – 21, 2014. To secure a meeting, contact Laura Hadley at (949) 382-1178 or via email lhadley@quandis.com. 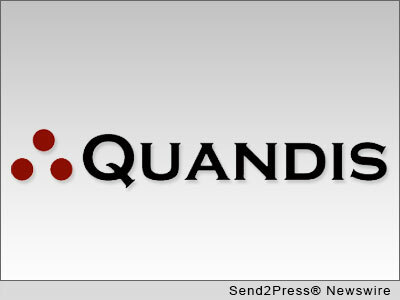 Founded in 2003 and headquartered in Foothill Ranch, California, Quandis is a default management software provider specializing in Web-based solutions for the lending industry. Quandis’ solutions include foreclosure process automation, short sale portals, skip tracing systems, a valuations hub, military search services, bankruptcy status searches, collection solutions, vendor solutions, as well custom application development. The company’s clients range from lenders to banks, servicers, foreclosure attorneys, GSEs outsourced service providers, and agents and brokers. With over 20 years of experience in developing mortgage technology solutions, Quandis understands the unique requirements necessary to deliver enhanced workflows and business-to-business communications. Quandis has been named a Top 50 Service Provider three years in a row. Quandis, Inc., 27442 Portola Parkway, Suite 350, Foothill Ranch, CA 92610. Original Keywords: Greg Kent, default management technology solutions, Mortgage Bankers Association National Servicing Conference and Exposition, Quandis, Inc., PACER bankruptcy locater solution Quandis, Inc. Orlando Florida ORLANDO, Fla.
REFERENCES: Banking News, Greg Kent, default management technology solutions, Mortgage Bankers Association National Servicing Conference and Exposition, Quandis, Inc., PACER bankruptcy locater solution Quandis, Inc. Orlando Florida ORLANDO, Fla.